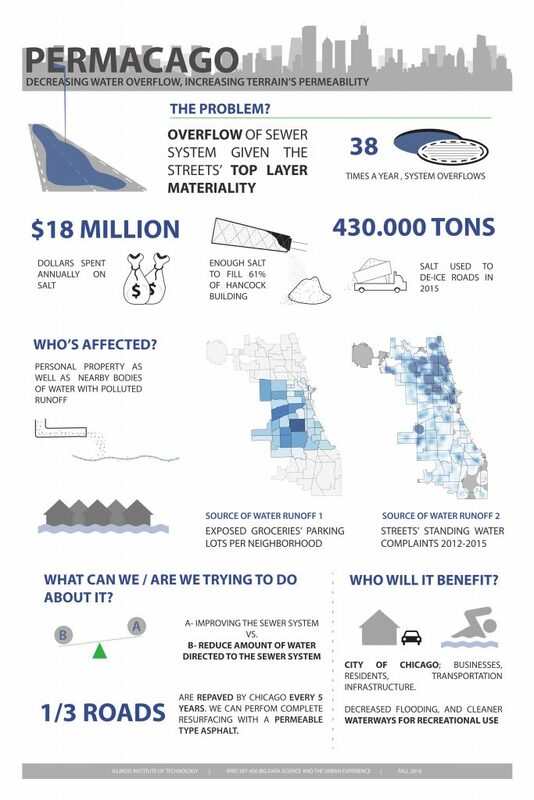 This water project focuses on the massive amount of water overflow that the City of Chicago faces every year. The amount of money spent on salt to deice the roads in Chicago was one major cost factor that the team explored. Their intended solution to reduce the amount of water in the streets and money spent on salt, is to resurface the streets with a more permeable type of asphalt. A large portion of the roads in Chicago are resurfaced every 5 years anyways, and switching the current asphalt with a more permeable one could save the City of Chicago billions of dollars.